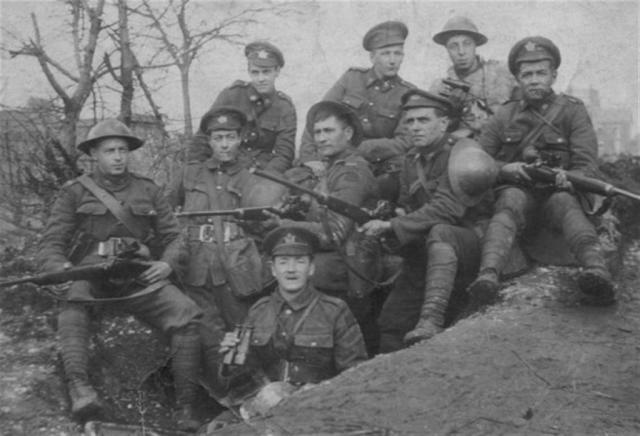 The Ross rifle and its place in the history of the CEF has been a source of controversy since its adoption in 1914 by Minister of Militia, Sam Hughes, as the weapon the first Canadian soldiers going to France would use. After more than a year of in-fighting and disappointing performance on the field, the Ross carried by members of the 1st Division was replaced in June 1915, 100 years ago this month, and replaced with the British Lee Enfield. For many, the Ross symbolised everything that was wrong with Sir Sam Hughes tenure as minister; it was a preferential deal, given to man who was his personal friend, for a piece of equipment that was not only not functional, but down- right dangerous to the user in battlefield conditions. Like many of the other decisions that he made, Hughes stood by the rifle, and it was only once his influence in Canadian politics had started to wane, in the spring of 1915, that the CEF was finally able to get rid of the Ross. I had accepted this as the established narrative of the Ross until just this week. During a conversation with one of our directors, he mentioned that he wanted to know what I thought about the Ross. After letting me finish my standard spiel about nepotism, misuse and the cost of experimenting in a wartime situation, he told me a great nugget of information that makes the Ross problem all the more complicated. Apparently, Canada was offered Lee-Enfield rifles at the beginning of the war by the British government, but at retail price, which the country couldn’t afford to pay; furthermore, Canada was not allowed to manufacture the Lee Enfield at home, which they could do with the Ross. So, while Hughes may have had undue influence in choosing the Ross specifically, it would appear that the decision to look for a rifle at home in Canada took into account the cost of outfitting soldiers with the Lee Enfield at retail price and was not just driven by Hughes’ nationalistic ideas. Certainly food for thought! In my mind, it doesn’t detract from the argument that the Ross was not suitable for the task it was meant to do, that is, high frequency firing in muddy, wet conditions, but it’s interesting to see once again how much economic considerations underline what has been laid almost entirely at the feet of Sam Hughes for the last 100 years. Ultimately, the Lee Enfield won out anyway, since it was a solid workhorse of a rifle and would withstand less than ideal conditions without misfiring or greatly affecting its functionality. The Ross, which was always made and tested as a sportsman’s gun, was still used by snipers for its highly accurate and long range shot, and treated with extreme delicacy by them. Interestingly, Ross rifles are still used from time to time today, as they are still one of the best sportman’s guns available. Hello, THK U FR fallowing, canadaatwarbog.WP.com, did same, the wedding picture is familiar to moi, those are your parents? For individuals that are interested in a compressive study of this account with prime documents etc see link. THK U FR YR TME. It’s actually from our photograph collection. Your article with primary sources was very interesting; unfortunately, this post is just a quick one, so I didn’t have much time to delve into the primary record. Great to see the background work you’re doing. Hi, a member on a WWII F used a similar photo, then again seen 100s, was just asking, thk’s fr the heads up. I was just contributing, point that a more comprehensive, with prime source Canadian archived, documentation, is available for Students or interested individuals. All this stuff is time consuming and agitating, when encountering contradiction in CDN accounts, books etc., cross-referencing and prime sources are a good starting point, establishing fact from myth or rediscovering forgotten documentation. I well understood your Blog summarised the account, plagued with defects, the popularity with the British Enfield, the Ross Rifle, casualties, which were from improper instruction, poor maintenance, was responsible: Remembering the Enfield was also plagued with issues. Nemours Ross Rifles enthusiasts, 100+ years’ later, the rifles are rapid fired, discharged at firing ranges or used for hunting Big Game, without any casualties or malfunctions. Work not word, lol, can’t edite, clicked on PC by mistake, then again sounds right. Interesting that Canada couldn’t get a licence to manufacture the SMLE. Australia purchased a licence to manufacture the SMLE and established the Small Arms Factory at Lithgow in NSW. A bit of grief was gone through when Pratt & Whitney won the contract to manufacture the tooling (shock horror not a British company). They built it exactly as per the drawings – which unfortunately used two different datums. It was all resolved and the SMLE went on to serve Australia into the 1950s until replaced by the FAL / SLR – also manufactured at Lithgow.